Edinburgh’s Budget – Policies designed to help slow the rise in child poverty in Edinburgh may be cut. On Tuesday Richard Leonard published his plan to use the powers of the Scottish Parliament to protect the poorest Scots from the impact of Tory and SNP austerity. Even before they were formally published, the combined forces of UK and Scottish nationalism were lined up to argue against his progressive platform. They fear the real change Richard Leonard is offering as they know it threatens the status quo they both cherish. Twelve hours after being inspired by Scottish Labour’s alternative budget I was faced with the harsh reality of a meeting convened to plan the implementation of the SNP’s cuts on our Capital. The contrast between Richard Leonard’s optimism and the brutal reality of what the SNP is imposing on Edinburgh could not be starker. 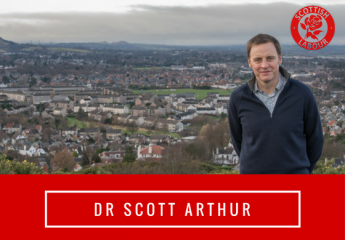 Decisions the SNP have made to cut the tax paid by some above average earners, many of whom earn over £50k per year, mean that Edinburgh’s budget must be balanced on the backs of the poorest in our Capital. This is austerity. The list of services under threat is long and heavily features services for families. For example, library budgets face cuts – this is a move which will surely make it harder to reverse the decline in education across Scotland. This is austerity. Also under huge pressure are the proposals to tackle “holiday hunger” – the plan to ensure children from low income households have access to nutritious food 365 days a year is under threat. Likewise, my proposal to increase the School Uniform Grant to at least the national average may well be scrapped. These proposals, which could have helped kids from the very poorest households get a better start in life, may well now be quietly dropped alongside plans to better fund services for children with additional support needs. In short, policies designed to help slow the rise in child poverty in Edinburgh may be cut. This is austerity. Worse than the direct cuts being forced on Edinburgh, is the funding gap we are faced within key areas. The under-funding of Police Scotland and the unfunded pay rise for Council staff will cost Edinburgh almost £5m this year. This is austerity. The only hope for Edinburgh now is that progressive minds in Holyrood can combine to oppose Nicola Sturgeon and make the argument along with Richard Leonard for investing in the potential of the Scottish people. Further to this, our capital’s administration must also live up to its commitment to fight austerity. ← Edinburgh’s Budget. My Priorities.